This article will explain 2 different techniques which the user can use to insert page break in a word document in Microsoft Word 2013. There are times when the user wants to insert a page break in the document. 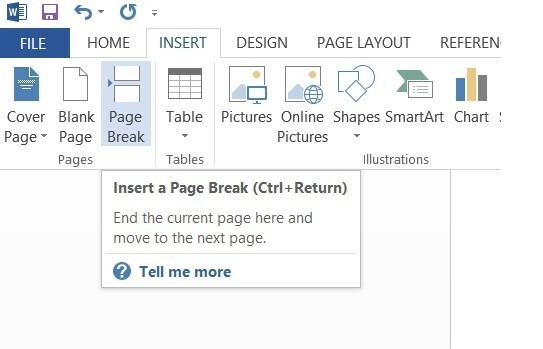 When a page break is inserted, it will immediately start in the next page of the word document. 1. Using the shortcut key “Ctrl + Enter”. 2. Using the Menu -> Insert -> Page Break.